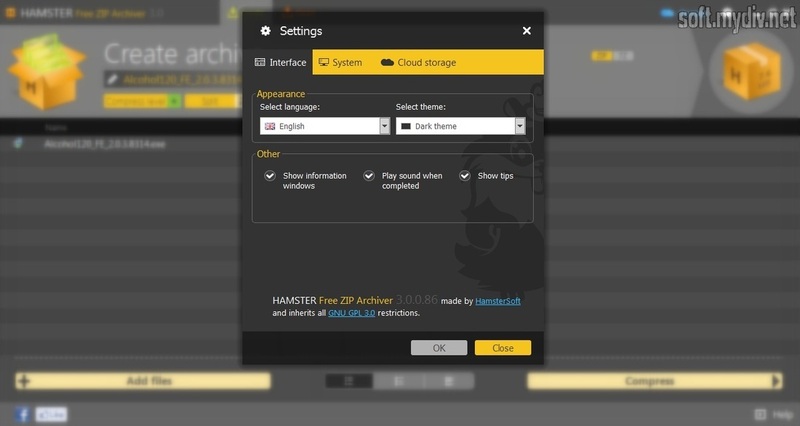 Hamster Free Zip Archiver is a simple utility that can help you to compress or extract archive files. It has multi-core processor support and a powerful ZIP algorithm that helps user to create archives quickly. If you’ll install it on 32-bit system, there can be an error. But it doesn’t affect on the program performance and stability. The program interface is not similar to WinRAR or 7-Zip. It looks like a web application with slightly and large buttons. There are 2 options in the head of the screen. 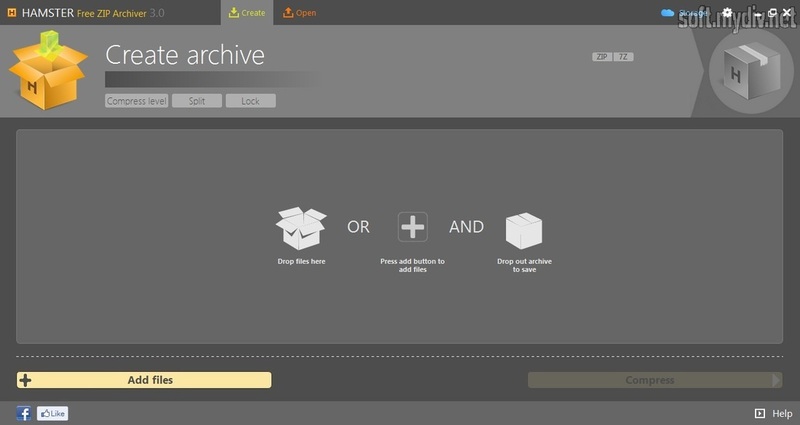 Create button would help you to make a new archive. 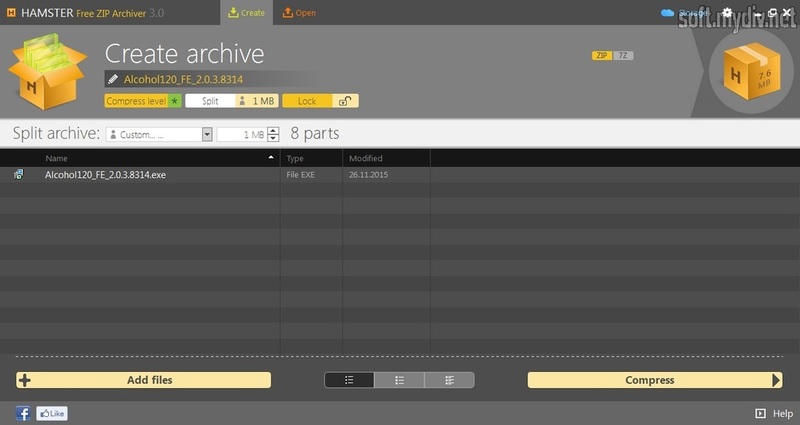 If you want to extract files from an archive, you should use Open button. 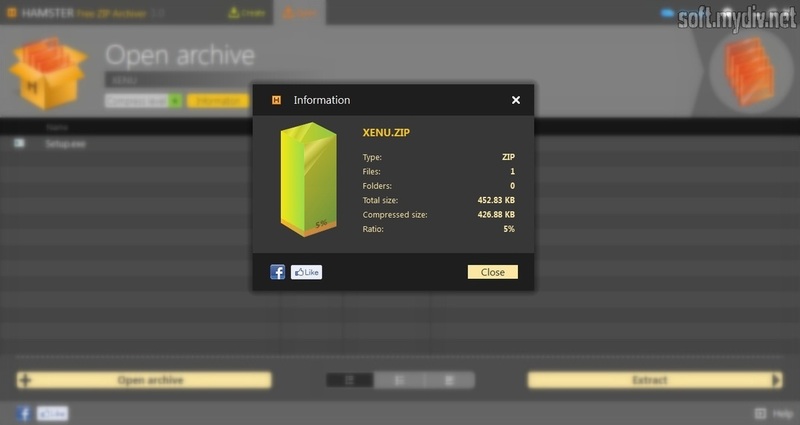 You should know that you can create only ZIP or 7Z archives using the selectors on the top-right part of the screen. Before you compress files, you can enter the name of your archive and set up the level of compressing (Compress level option). It can be minimum, optimal or maximum. You can also split a file, add new one or lock it by a password. After that you should push on Compress button and save this file on your PC or publish it on the Internet. 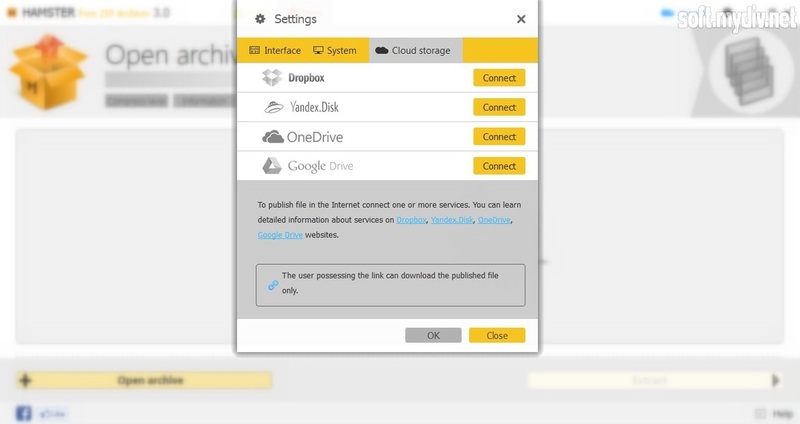 The last option requires connection to one of web services in the list: Dropbox, OneDrive, Google Drive or Yandex.Disk. There are two color themes: light and dark. You can switch between them using Settings button (gear icon). It’s easy and convenient tool. It can be a good alternative to paid archivers. Open RAR, ZIP and other archives.